Bourns, Inc., a leading manufacturer and supplier of electronic components, today announced that it has acquired specified assets used for the production and sale of the Transtek brand of magnetics products. The portfolio of Transtek magnetic components acquired by Bourns includes custom transformers, inductors and coils for a variety of applications such as electrical isolation and voltage conversion in power electronics circuitry. Transtek magnetic components are sold principally in the automotive, solar power and consumer electronics markets. Bourns will retain the design and manufacturing operations in Dongguan, China and the sales and support functions in Tucson, Arizona. The acquired magnetics products will be folded into the Bourns product portfolio and marketed under the Bourns brand name. The acquisition enables Bourns to complement its existing standard magnetic components with custom magnetics solutions. Bourns can now offer its valued customers premium expertise in design, development and production of high frequency and high power magnetic components to deliver optimum magnetic solutions. "This acquisition boosts Bourns' broad offering of power electronics solutions. It also enhances our customization capabilities to meet specific requirements in terms of magnetic performance, overall efficiency and thermal characteristics," said Erik Meijer, President and COO of Bourns, Inc.
Bourns, Inc. is a leading manufacturer and supplier of position and speed sensors, circuit protection solutions, magnetic components, microelectronic modules, panel controls and resistive products. Headquartered in Riverside, California, USA, Bourns serves a broad range of markets, including automotive, industrial, consumer, communications, non-critical life support medical, audio and various other market segments. 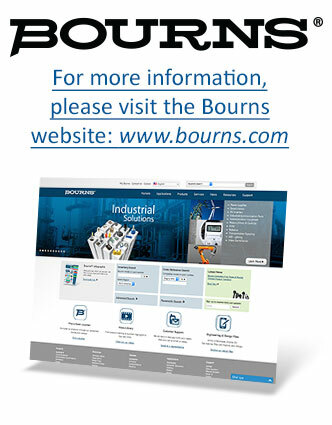 Additional company and product information is available at www.bourns.com. Please note: Transtek retained pre-closing account receivables and accounts payable and other pre-closing liabilities.Â For such items and other pre-closing matters, please contact Transtek at the numbers below. © 2016 All Rights Reserved - Bourns, inc.